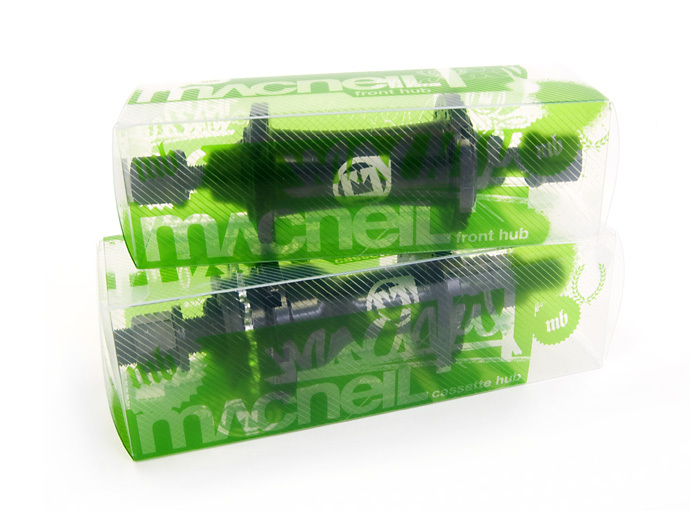 MacNeil Bikes has always taken pride in pushing the boundaries of design in BMX, and we wanted to do something different than just putting the hubs in a standard box. We found a scored transparent plastic substrate that was flexible enough to score/fold, yet hold up to the weight of the product when stacked. With the angled scoring on the substrate, we had to print the graphics on the flat side, which worked out quite well. 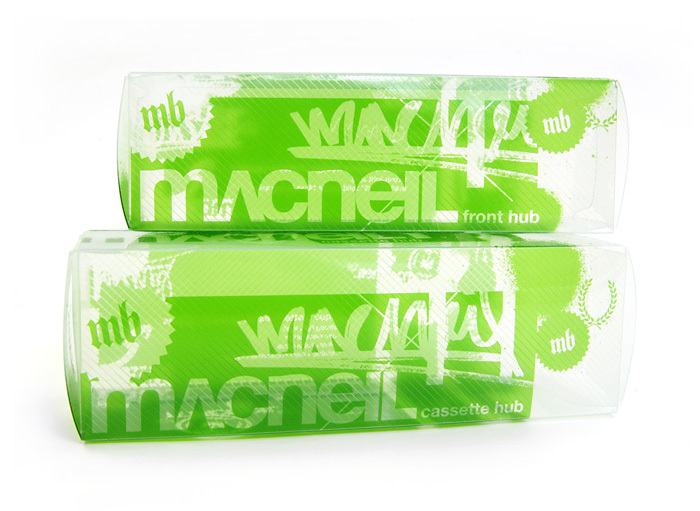 I oversaw the design and production process for the packaging of the hubs. Shown are the empty hub boxes, and with the hubs in the box as they would be shipped.